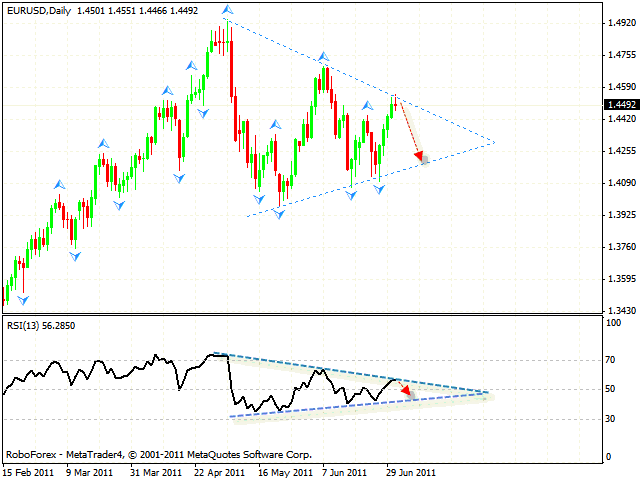 The EUR/USD currency pair keeps moving inside the “triangle”. The price keeps testing the pattern’s upper border. 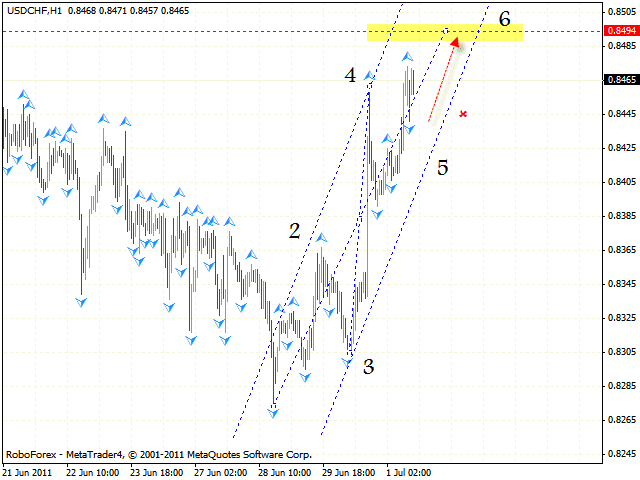 The price is not breaking the pattern upwards at the moment, so one can consider selling the pair with the tight stop. The target of the fall is the “triangle’s” lower border. The RSI indicator has faced the resistance from the trend’s descending line. Pound is moving according to the forecast inside the rising pattern, and breaking the rising channel’s lower border at the moment. One can try to sell the pair with the stop above 1.6105. 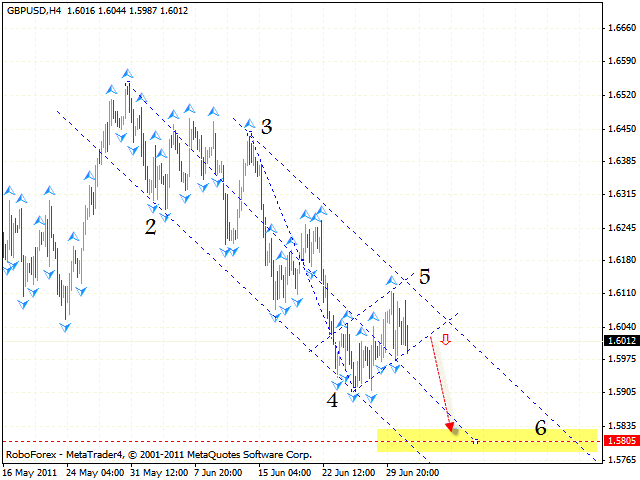 The target of the fall is the area of 1.5805. Franc is growing significantly, the closest target of the growth is the area of 0.8494. One can try to buy the pair with the tight stop. But if the price breaks the rising channel’s lower border, this case scenario will be cancelled. The USD/JPY currency pair is moving inside the rising channel, however, there is a chance that the channel may be broken downwards and the price may start moving downwards. One can try to sell the pair with the tight stop above 81.05. 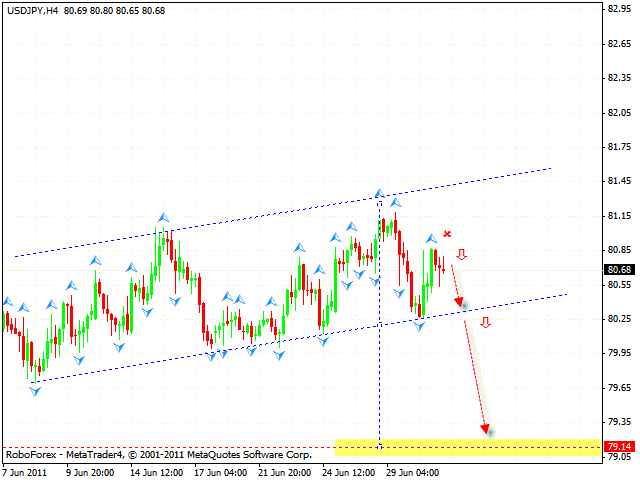 If the price breaks the channel’s lower border, we should expect the price to fall into the area of 79.14. OIL has left the descending channel, currently there is some potential for “head & shoulders” reversal pattern to be formed. 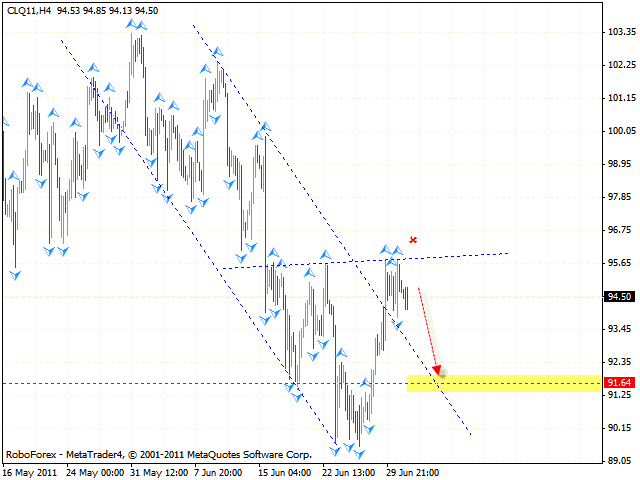 We should expect OIL to fall down into the area of 91.65 where one can consider opening long positions.